This luxurious beachfront house offers 5 bedroom suites, a huge common area with ocean view game tables, HDTVs, and an outdoor room. This family house is impeccably furnished and decorated, right down to the laundry room with washer and dryer. Enjoy breathtaking panoramic views of the Atlantic Ocean from your second floor enclosed/screened private balcony, living room and master bedroom. This 2BR/2BA 2nd story condo is perfect for weekly or monthly visits. Tile throughout the living area and carpeted bedrooms. King size bed in the master and two twins in the guest room. Charming newly renovated and fully furnished 2BR/2BA one story flat condo located in popular Quail Pointe I directly across from the Tennis Club and Health Spa! 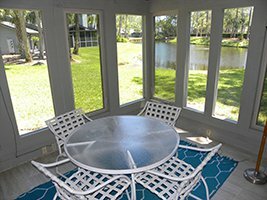 Enjoy the serene and private view of the lagoon from your enclosed porch. 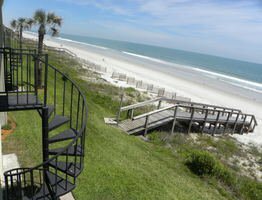 Ponte Vedra Beach is a picture-perfect seaside village found 20 miles southeast of Jacksonville, Florida. Upon first sight of the meticulously maintained resort-style community, you’ll instantly understand why it was named one of the 100 Best Places to Live in Money Magazine. When you need a break to reset from the daily grind, turn to the warm air and beautiful sunsets of Jacksonville Beach. This coastal resort city attracts vacationers and residents alike with its gorgeous beaches, riveting nightlife, incredible restaurants, and fun events. Since its official inception as a city in 1926, Atlantic Beach has slowly grown into one of Northeast Florida’s premier luxury destinations. Those seeking a lavish beachfront getaway will find paradise and more along the golden shores of Atlantic Beach. Want to know what’s going on in the area during your visit? 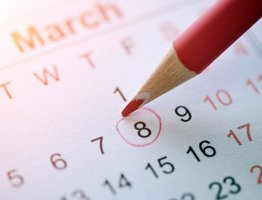 Check out our calendar of events to find out all the latest happenings so you can plan the perfect vacation. When you rent your home, make sure it’s in the right hands. Find out why our team is the best option to manage your rental property. If you’re in the market for an extended stay in a rental home, we’ve got you covered. Find out more about our long-term rental properties here.